The Olympic snowboarder meets her fans and takes selfies with them, before explaining how it feels to be on the receiving end of a fan selfie. From July 2015. What's it like to be on the receiving end of a 'selfie' photograph taken by a fan? 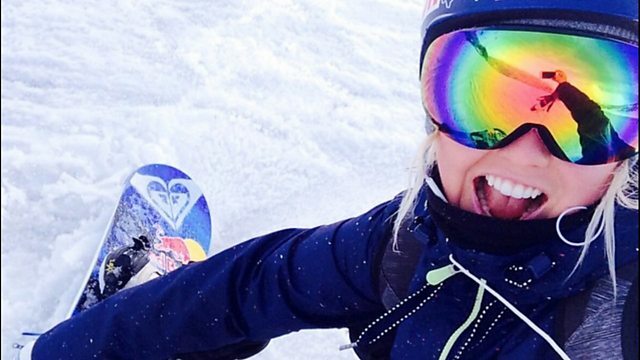 Snowboarder Aimee Fuller continues her exploration of the selfie phenomenon. In this third episode, Aimee starts at an event promoting the This Girl Can sporting campaign to encourage girls to take part in sports. She meets her fans and takes selfies with them before explaining how it feels to be on the receiving end of a selfie. She explains why she likes them - and how instant communication using social media makes it possible for her to stay in touch with her fans in a way that was not possible before. David Houghton, a lecturer at the Birmingham University Business School, explains how brands have linked the way people interact on social media and with branded content. He explains how a brand and a selfie can overlap. Katrina Sluis at the Photographers Gallery discusses how young bloggers become brand ambassadors.